This wild and moody design is either foliage or feathers? Opinion amongst the-stitchery team is divided on the design’s subject matter but we all agree we totally love this print. (But, shh don’t tell them – the clue is in the design name -it’s a Gum Leaf). The overall effect is a dynamic, diverse and vibrant print. 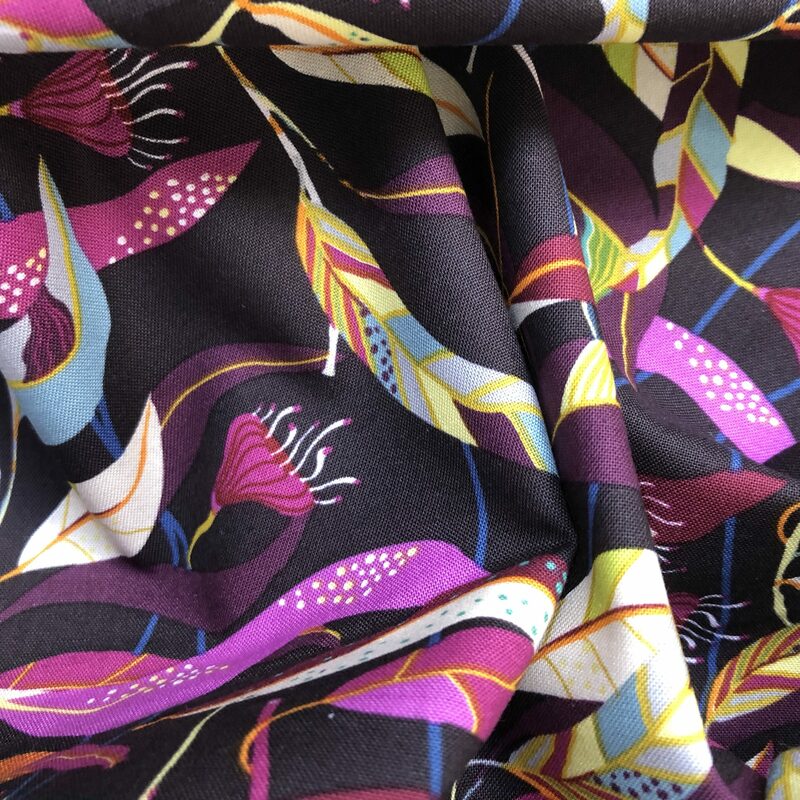 The scale of this print is medium/large – it would look amazing for dresses and interior pieces such as cushions. 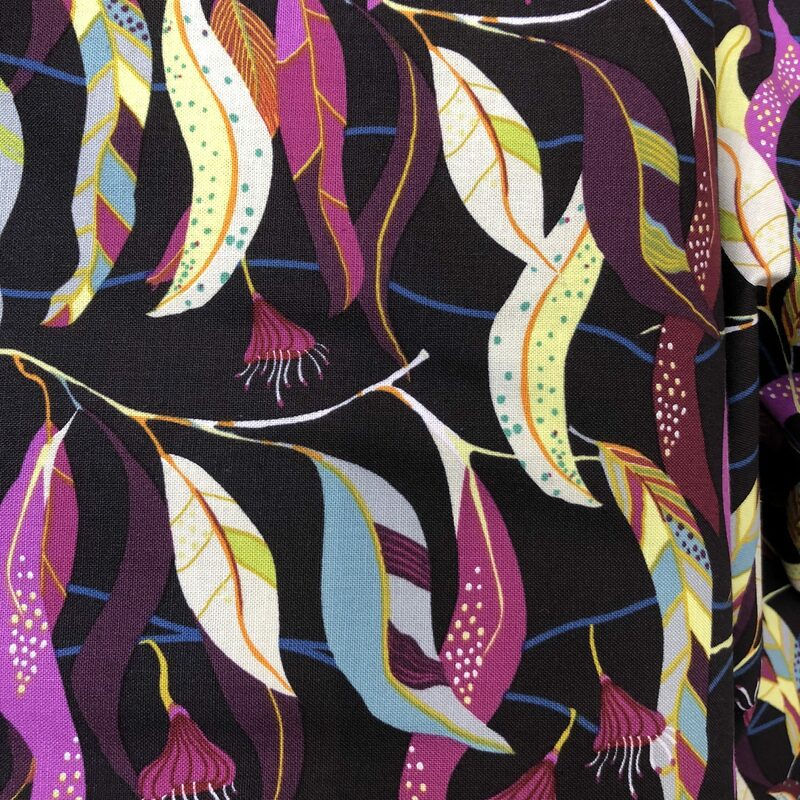 Don’t forget-this gorgeous fabric won’t hang around for long and when it’s gone it’s gone, we’ll move on to the next exciting print!